As tributes are pouring in for Vaclav Havel, former President, playwright and the icon of the Velvet Revolution in Czechoslovakia who died on 18 December 2011, I wish to recall an extraordinary occasion when I had the opportunity to meet him and hear one of his most poignant speeches. The occasion was 30 September 1990 at the United Nations in New York where the largest gathering of world leaders in history until that time was assembled at the historic World Summit for Children. As the designated senior UNICEF official in charge of drafting the Declaration and Plan of Action of the Summit, I had the opportunity to accompany, brief and witness the signing of the newly adopted UN Convention on the Rights of the Child by several world leaders, including President Vaclav Havel of the Czech and Slovak Federal Republic. He was visibly emotional as he signed the child rights Convention, and as he later delivered a short but the most touching and powerful speech in front of 70 other Heads of State and Government and scores of ministers and senior UN leaders. "A thousand times over the last decades I have seen in my country many bent backs, bent allegedly in the interest of children. A thousand times I have heard people defend their servitude to a hated regime by the argument that they were doing it only for their children - to be able to feed them, to make it possible for them to study, to be able to afford vacations at the seaside. A thousand times various acquaintances as well as strangers confided to me that they were in their mind and soul totally on our side - that is, on the side of so-called dissidents - and that they signed various petition campaigns aimed against us and organized by the totalitarian Government for the sole reason that they had children and thus could not afford the luxury of resistance. Immorality was thus committed in the name of children, and evil was served for their alleged good. But I have seen even greater perversities �I saw Hitler waving a friendly way to fanaticised little girls of the Hitlerjugend; I saw the mass murderer Stalin kissing a child with the Red Communist Youth Organization scarf, a child whose parents ended up, like so many others in Gulag camps; I saw Gottwald, the Stalin of Czechoslovakia, smilingly joking with young miners, the builders of socialism and soon to be cripples; I saw the Iraqi President Saddam Hussein patting the children of his hostages, whom he now says, he is ready to have shot. I know and have experienced how in Czechoslovakia thousands of people suffered in Communist concentration camps, how hundreds of them were executed and tortured to death, and all this for the fake happiness of generations yet unborn in some fake paradise. How much evil has already been committed in the name of children!" Then, after praising profusely the UN Convention on the Rights of the Child which he had just signed, Vaclav Havel went on to say: "However, if it were possible, I would add another paragraph to the agreement I signed this morning. That paragraph would say that it is forbidden for parents and adults in general to lie, serve dictatorships, inform on others, bend one's back, be scared of dictators, and betray one's friends and ideals in the name and for the alleged interest of children, and that it is forbidden for all murderers and dictators to pat children on the head". Havel then went on to speak eloquently about how the children of the Velvet Revolution persuaded their parents to revolt and prevail against totalitarianism, and on the side of the truth. Havel's Velvet Revolution was a delayed triumph of the Prague Spring unleashed by his predecessor Alexander Dubcek who said memorably: "They may crush the flowers, but they can't stop the Spring". The last leader of the Soviet Union, Mikhail Gorbachev, acknowledged that his liberalizing policies of glasnost and perestroika owed a great deal to Dubček's "socialism with a human face". But like the Prague Spring, glasnost and perestroika failed to prevent the collapse of the once mighty Soviet empire as the very premise of "scientific socialism" of the Marxist-Leninist, (and today we might add Maoist variety), proved simply incapable of transforming itself to a genuinely pluralistic democracy, because of its pseudo-scientific dogmatism. 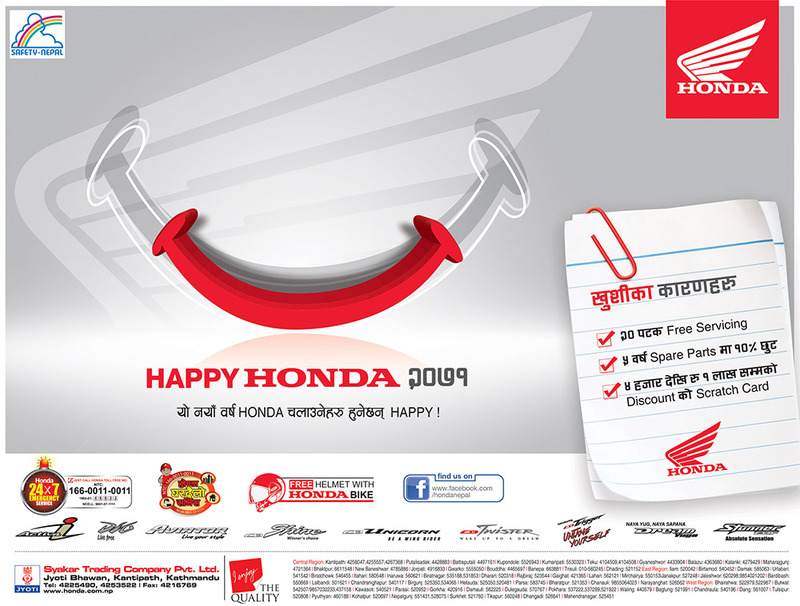 We Nepali people would do well to be wary of promises of heaven on earth being doled out by ideologues of various stripes � especially those who are very artful in invoking "scientific" arguments in support of their utopian vision which can mislead our gullible young citizens. Let us reclaim the spirit of Nepal's own 2006 Rhododendron revolution, as Vaclav Havel's Velvet revolution did, in the genuine interest of our children. Kul Chandra Gautam is a former Deputy Executive Director of UNICEF and Assistant Secretary-General of the United Nations. "Who were some other great men you have met?" "I would say the greatest was Deng Xioping.At his age, to admit that he was wrong,that all his ideas, Marxism, Leninism,Maoism,they are just not working and have to be abandoned ,you need a great man to do that and to convince or override his Old Guard colleagues and say ,now you go this different way." Lee Kuan yew to Tom plate, during conversation. Hope it goes wih the spirit of Kul Gautam's reminiscence! The sooner our great leaders(!) realise this, the better for the nation. The wise and learned, checks and analyzes in many different ways to find the truth, while the fools follows blindly and the lesser fools just become copycats, without knowing the consequences of out dated ideology and principle of Maosim. In Nepal people like Prachanda, Baburam etc did the same, the copy cat of Maoism in Nepal, so this so callled Nepali Maobati came into being and fooled the innocents with lots of unrealistic dreams to be full filled. Finally they came into power with lots of bloodshed and destruction in the country, what did the poor really achieved? nothing more then the empty promises. Vaclav Havel was wise and courageous, he studied and analyzed the true facts of Communism, so he stood up and revolted against the out dated and unrealistic political views of Communism, majority of the people supported his idea of reforming and stood with him against the Communist regime and finally toppled down the Communist regime in Czechoslovakia. Mr Vaclav Havel is truly a hero and true reformist to bring peace and prosperity in Czechoslovakia. Nepal doesn't need copycat thugs, Nepal truly need reformist for a bigger change in Nepal. I salute and pay my homage to great leader Vaclav Havel. It was not too long after I personally met people and visited places, just to name a few from, the border town between South and North Korea, Cambodia, Vietnam and Eastern Europe - I concluded without any hesitation that communism is a shame to the human civilization and humanity. Its a shame that we have being led by leaders who follow the same outdated and useless principles - and many are hell bent further to establish - Democratic People's Republic of Nepal! 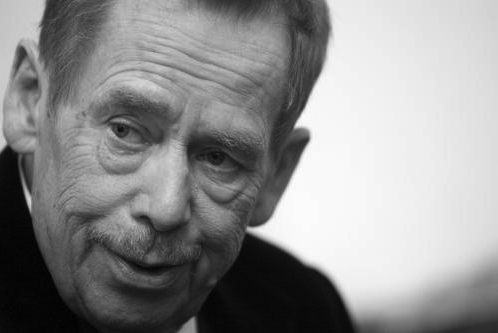 Vaclav Havel will surely be missed but never forgotten.